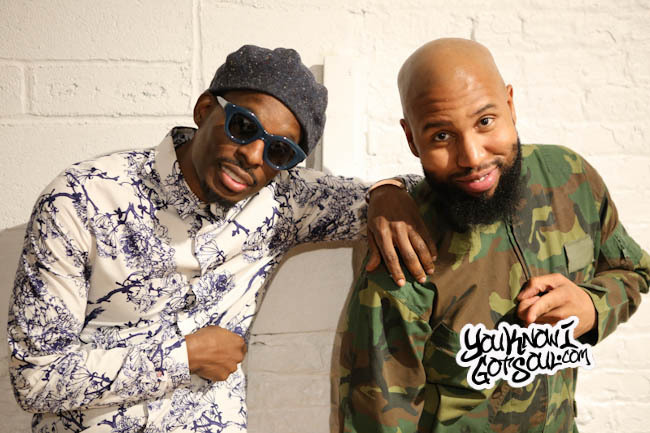 When hit producers/songwriters Claude Kelly and Chuck Harmony decided to break away from the industry and start their own group Louis York, it certainly was a bold decision. The two had collaborated for years crafting hits for many big names artists, but hadn’t previously stepped into the spotlight on their own to truly show their talents. That all changed nearly two years ago, when Kelly took the mic and Harmony showed his versatile musicianship and we had their debut EP “Masterpiece Theater” Act I. Not satisfied with simply going with the flow of industry trends, the duo are on a commendable mission to shift the culture and keep meaning behind the art. 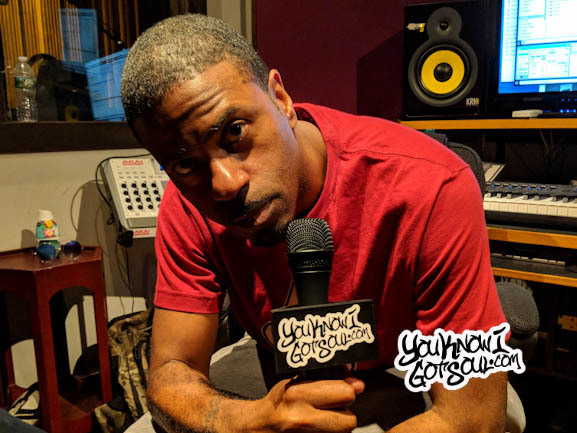 YouKnowIGotSoul sat down with Louis York for an interview recently and discussed how the group became a reality, their unique sound, their label Weirdo Workshop, their long term goal of this partnership, and much more. YouKnowIGotSoul: At what point did this group become a reality for you guys? Louis York (Claude Kelly): It actually happened by accident. Louis York was nothing that was planned years ago. We were working together for years with everyone else. Chrisette Michele, Fantasia, Ledisi and many others. We didn’t even think about artistry or getting from behind the boards. After a conversation two years ago now, where I told Chuck I was kind of frustrated with the kind of calls I was getting and the lack of creativity, I found out he was feeling the same way. We decided to do some songs to clear our brain and see how we felt after that. In the process of doing that, we made some crazy songs, and determined nobody could sing them but us. They were so personal and so big and refreshing that we decided it was necessary we were the guys who deliver this. He’s from St. Louis and I’m from New York, so we’re Louis York. 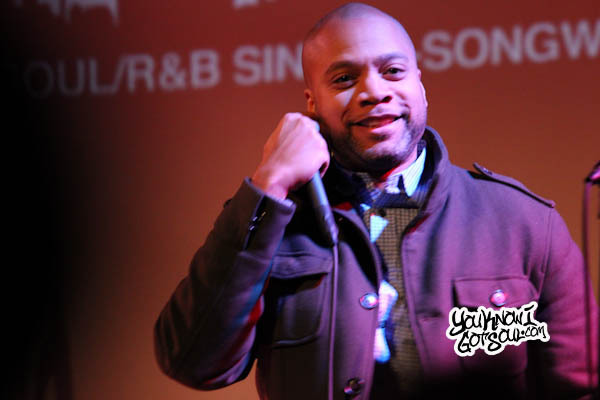 YouKnowIGotSoul: What’s obvious about the music when you listen is that the sound is like nothing else out there. You mix so many different genres together and it’s refreshing. How scary is it to put something out that sounds like nothing else out there? Louis York (Chuck Harmony): Fear is definitely part of the process, it’s just something you’ve got to overcome. Any time you’re doing something new, you don’t have any examples of it will work or won’t work. Especially when it comes to genre bending. Most people think in order for an album to be cohesive, it’s all got to sound the same. For us, we took that chance and got over our fears and just released it. 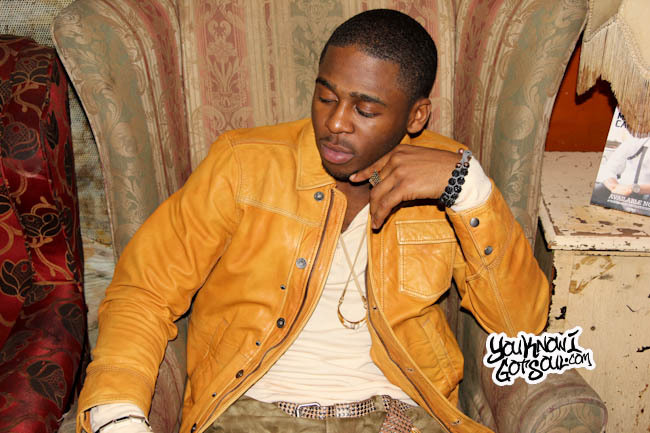 YouKnowIGotSoul: You guys started your own label Weirdo Workshop where you have your own roster of artists. What is the Weirdo Workshop? 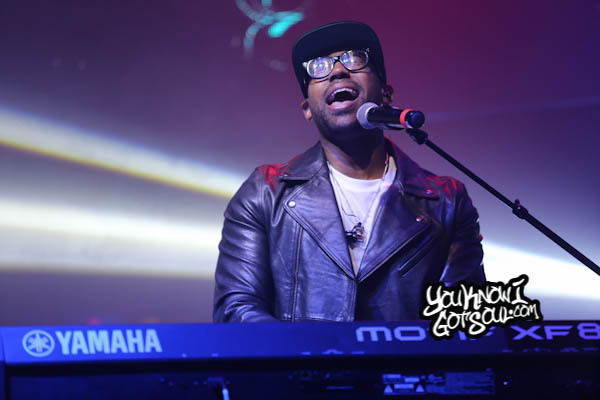 Louis York (Claude Kelly): It’s where all of our dreams come true! It’s our company that houses all of the art we’re putting out starting with Louis York. We wanted to have more creative control in our art and also what we’re doing for other people. We started this people after we finished the “Masterpiece Theater” Act I and Act II. We realized we had a formula that worked, and at the crux of that formula, was that when we leaned into the weird things about ourselves, the things we might have felt were not cool enough to make you an artist or make you different, when you lean into those things, you create this new sound and confidence and brand. So we created a company where it encourages artists to find what makes them quirky and different and use those tools to become the artist you want to be. Weirdo Workshop is a positive thing. It’s a place we go to figure it out and celebrate the oddities of ourselves and make that the base of our art. YouKnowIGotSoul: When you’re creating music in this way, putting it out yourselves and not compromising at all, what is the ultimate goal? Louis York (Chuck Harmony): For me, success to me is waking up and doing what you’re doing every day, whatever that looks like to me. I definitely don’t have a music industry goal because I’ve done that and completed that work. My quest is to find new platforms for music to live. Once we do that and find different ways of getting music to people, whether that’s 5000 or 1 million people, I’ll feel successful. I want to make sure I’m adding something to the marketplace, so that’s my goal. Louis York (Claude Kelly): To add to that, it’s not just about music anymore. It’s kind of a cultural shift we’re trying to do here. 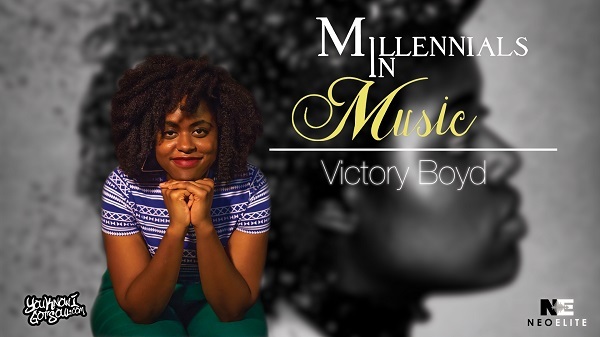 We’re reintroducing diversity to music. Bringing back live instruments and saying they’re cool to play and listen to. And also as two cool, smart, well dressed looking dudes, it’s a different perspective that needs to be out there. There are a lot of people talking, but there isn’t a lot of meaning or purpose behind their art. We’ve thought this through a lot. 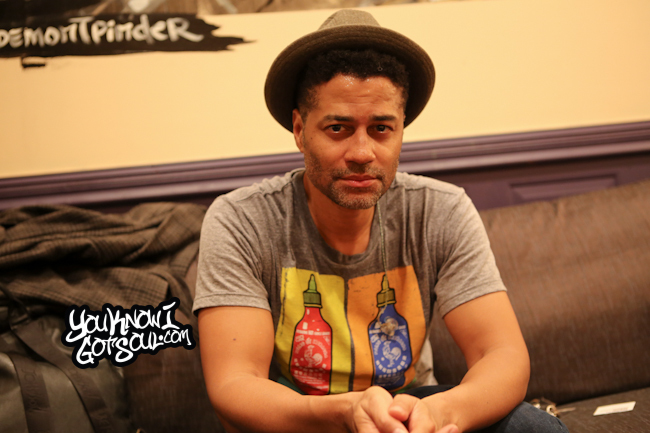 We know why we put out “Clair Huxtable” and “Don’t Play”. It’s a culture. For me, I want people to take away that we’re a dope band, but besides that, I want people to feel like we were masters of music and changed how people thought. That’s what Quincy Jones did for me, and Jimmy Jam and Terry Lewis did for me. I looked around and saw nobody else doing so, so it’s either going to be us, or that’s not going to happen. YouKnowIGotSoul: How has the response been to your music so far, and how has the movement been building? Louis York (Chuck Harmony): The response has been awesome. It’s a groundswell situation, we expected that going in. We didn’t expect to release a song and become instantly famous. We knew it was a process and we were prepared for the longevity of the process. We are really touching one person at a time, one song at a time, one concert at a time, one interview at a time. All the response is people love it. It’s been able to open doors for us that as an independent label, we wouldn’t have got those doors open. Louis York (Claude Kelly): We’re patient, it’s a marathon. We know better now than to even pray for that microwaveable success, it doesn’t last. We’ve seen it come and go. We’ve written for some that have come and gone. This is literally about doing something that will make us a legacy. I think this is about us building us thing that will go on beyond us. We’re patient because we know it takes work and time. Watch the video above to catch the rest of the interview.